As I exit my 42nd year, I thought it’d be fitting to celebrate the last man to wear number 42 for the Warriors! Today’s #WarriorsWednesday post is Nate “the Great” Thurmond, aka “The Chairman of the Boards”! 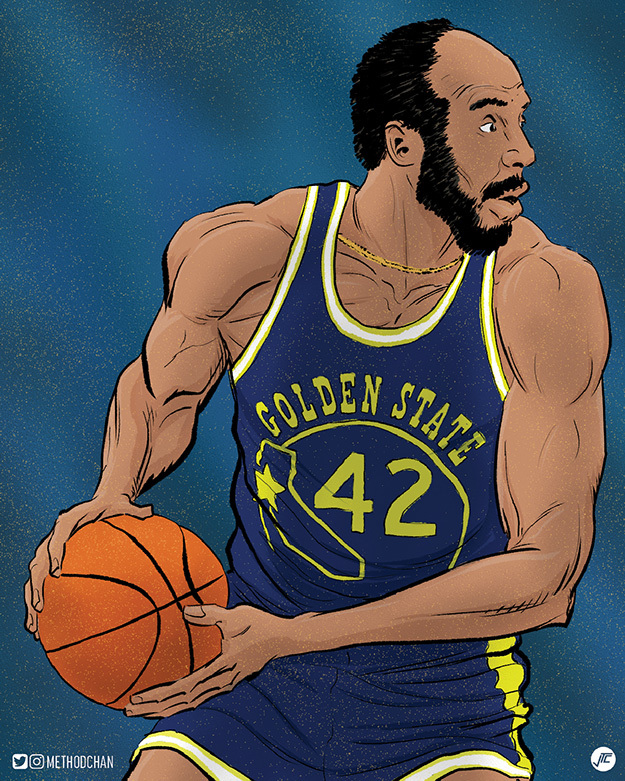 From 1963 to 1974, Nate patrolled the paint for the Dubs. He set an NBA regular season record grabbing 18 rebounds in one quarter! He’s one of four players to pull down 40 rebs in a game (42 against the Pistons in 1965)! He averaged over 20 pts / 20 rebs for two seasons from 1966 to 1968 and was runner-up to Wilt Chamberlain for league MVP in the 1966-67 season. He’s one of five players to average 15 rebs per game for his career and average over 20 rebs per game for a season! He also has the distinction of being the first player in NBA history to record a quadruple double (22 pts, 14 rebs, 13 assts, and 12 blocks)! It’s no wonder he was named one of the 50 greatest players of all time and had his jersey retired by both the Warriors and Cavaliers!